Well done to Birch class for winning the reading challenge at Sharnford this week. 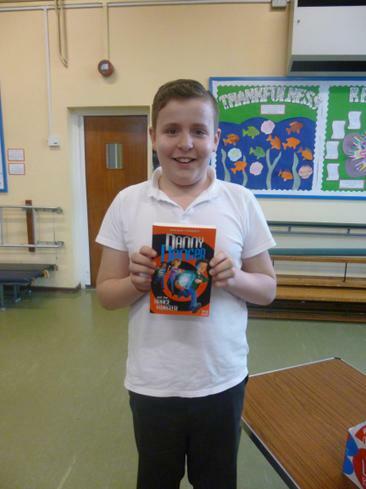 Adam chose 'Danny danger and the Space twister' to add to our class collection! Keep getting those signatures everyone!